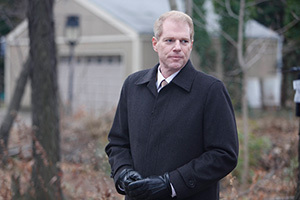 5 Questions With Noah Emmerich of "The Americans"
1. You’re at a magazine rack and can only pick three titles. Which ones do you choose? The New Yorker, The Economist and Harper’s Bazaar. 2. If your TV carried just three shows or networks, what would they be? Any reality singing competition, weirdly. 60 Minutes, and either The Colbert Report or The Daily Show With Jon Stewart. 3. What has been your strangest fan encounter? I have a repeating strange fan encounter, which is when people conflate character and person. I’ve gotten approached by many people about The Truman Show, who are furious with me for betraying my friend and want to know how I could possibly do that. I have to remind them that I am in fact only an actor and am not Marlon and I didn’t write that script or live that life. I do get irate people that know me as a character and are upset over the actions my character has taken. That, to me, is always the most surreal phenomenon. 4. Tell us about a time when you were starstruck. The most starstruck I’ve ever been in my life, certainly, is when I met Bob Dylan. He was a huge hero of mine. I was backstage at an Elton John concert, in Elton John’s dressing room before a concert at the Hollywood Bowl, and Bob Dylan was there. I lost my higher brain function. 5. What are three things you have to have in your fridge or pantry? Water, almonds and English breakfast tea. The Americans airs wednesdays on FX. 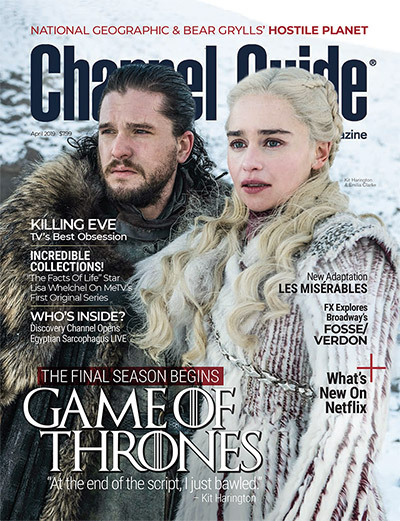 The season finale is May 21.